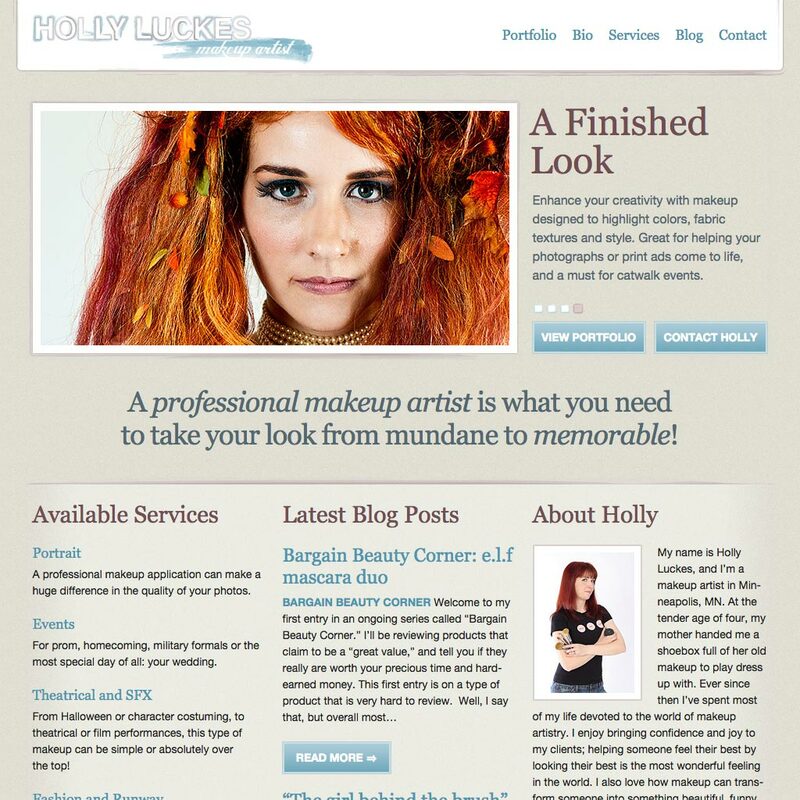 Holly needed a striking website to market her fledgling makeup artistry business. I delivered a custom WordPress site that balances organic shapes and structure to present Holly’s growing portfolio of work. Working with Jared was easy and stress-free. He always took the time to listen and answer any questions I had regarding the creation and operation of my website. He was always able to put things into terms I could understand. The finished result is absolutely everything I could ask for. My website is unique, made especially for me, certainly no "cookie cutter" type of template design. It is easy to navigate and projects a professional image that has brought me numerous bookings. I am also able to easily edit and update simple content such as my gallery and blog. Anytime I have had any questions, Jared has been prompt and professional in his responses. I am 100% satisfied. © 2019 Jared Ringold. All rights reserved.